A dozen times or more Jim Clawson, who lives in Cross Creek RV Resort north of Arcadia, Fla. on US-17, crossed the Atlantic as the bow gunner on the William Gilles, a merchant ship, bringing tanks, planes and troops to North Africa and Europe during World War II. “On that first trip we headed across the North Atlantic. 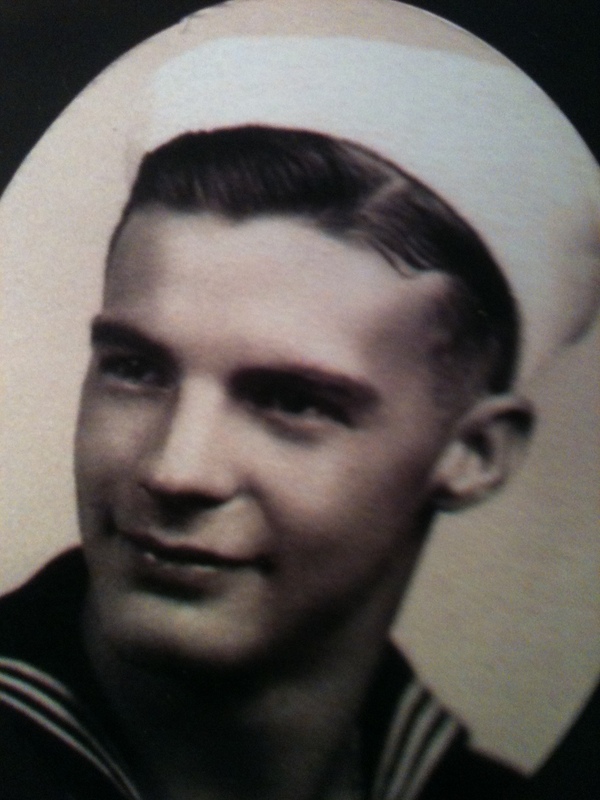 There were probably 100 ships in our convoy,” the 86-year-old former sailor remembered. “We could go only as fast as our slowest ship, six knots, as we zigzagged our way across the ocean. It took 21 days to arrive in Morocco, North Africa. “When I first got aboard the Giles she was in dry dock being repaired because she was falling apart. They riveted a steel band around the outside of the ship to keep it together. “The rough seas in the North Atlantic had pounded the Giles apart. She’d go up over a wave and then hit the bottom of the next one,” he said. “It was winter time and we walked through waves going from the front of the ship to the back of the ship. They put a steel cable up for us to hold on to while out on deck. “On the way over we had no problems with German subs. One reason may have been that the North Atlantic was so rough the U-boats had trouble operating,” Clawson suggested. “We unloaded our goods and went right back across the Atlantic to Brooklyn, Norfolk or Baltimore, I can’t recall. “During the trip across I didn’t get much sleep because I slept in a room above the ship’s propellers. When those propellers would come up out of water when she rolled in heavy seas it would wake you up,” he said. Most of his convoys took Giles to the Mediterranean. They started out in North Africa and then headed north up the into Europe and followed the coast line wherever the battle was raging. Life aboard ship, when the Giles was in port, was a complete change of pace. “When we pulled into port we had so many hours a day we could go ashore. Since we were Navy we had nothing to do with unloading the ship. The Merchant seaman aboard ship took care of that. “I remember becoming friendly was a Canadian who owned a restaurant in a small town along the coast not far from Rome. The town had been almost leveled by the fighting, but some how his restaurant survived,” Clawson said. “The restaurant owner told us his big problem was he had no sugar for cooking. “We went back to our ship and got acquainted with the guy who ran the ship’s store. He told us the only thing he had was a 50-pound bag of sugar. I told him I had a suitcase that could hold a 50-pound bag of sugar. “The restaurant owner was so happy to get his bag of sugar. He provided us with transportation to Rome and back to the Giles just like he said he would,” Clawson said. “One of my buddies was Catholic and he wanted to get some souvenirs and have them blessed by Pope Pious XII. “You couldn’t believe Vatican City. When we arrived we were told the Pope would have an audience with servicemen at a certain time in a certain room in the Vatican,” Clawson said. The walls of the room were covered with frescos, he said. Clawson couldn’t recall if they were Bible scenes or not. What he does remember was Pious XII sat in a large, elevated chair at the front of the room. The faithful came up to meet him and knelt. Cigarettes could be exchanged for cash once a swabbie reached port. Each sailor was given his monthly allotment of smokes. If he was lucky he had a buddy who didn’t smoke he could talk out of his cigarettes. At times he might have to pay a buddy a dime a pack for his cigarettes. “I remember on a good day, when butts were in short supply we might get $5 or $6 a pack on shore,” the old sailor said with a smile. Cigarettes weren’t the only thing they sold the natives. In North Africa they would wrap themselves in bed sheets under their uniforms before leaving the Giles. Once ashore the sailors would sell their sheets on the black market. The Arabs would turn the sheets into clothing. What made the biggest impression on Clawson during his tours abroad were the poor. Clawson and the Giles was headed home in a convoy on one of their many trips back to the USA. One destination was Norfolk, Va. when the ship received word the German’s surrendered–VE-Day. After receiving a 30-day leave, Clawson was reassigned to the West Coast. 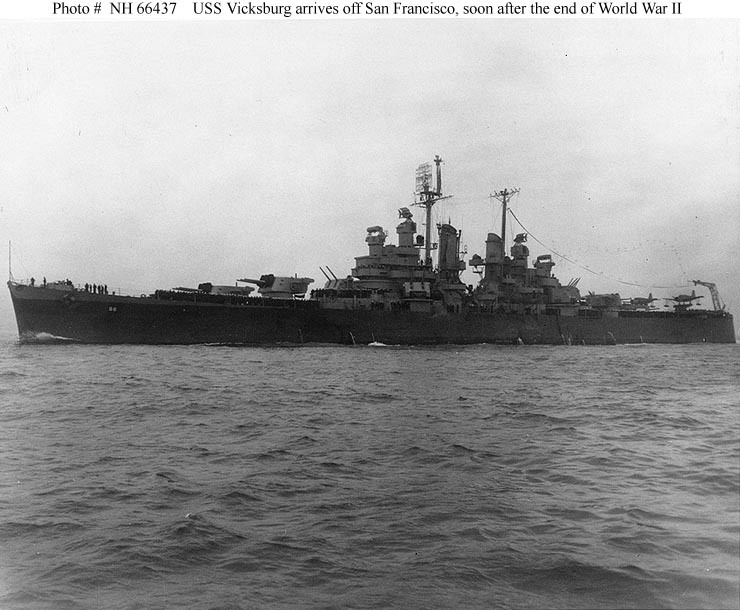 He reported aboard the cruiser USS Vicksburg that had spent the previous nine months in dry dock being repaired because of battle damage. Clawson and the ship sailed back to Long Beach. He took a slow train across the country to Bainbridge, Md. 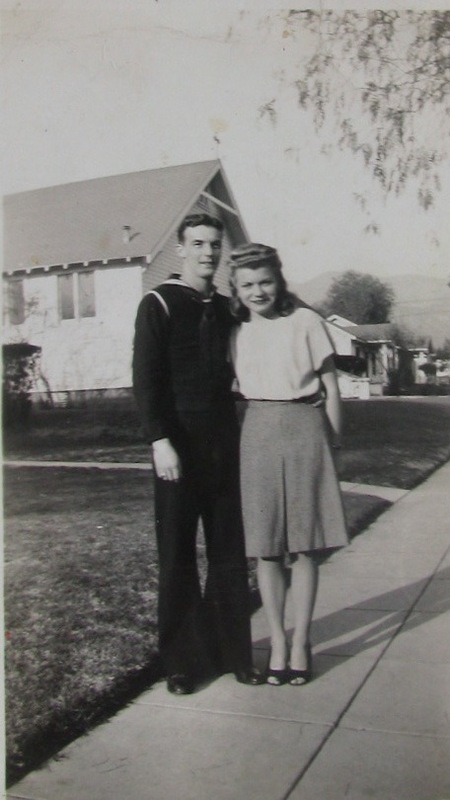 where he had joined the Navy two years earlier, and was discharged. 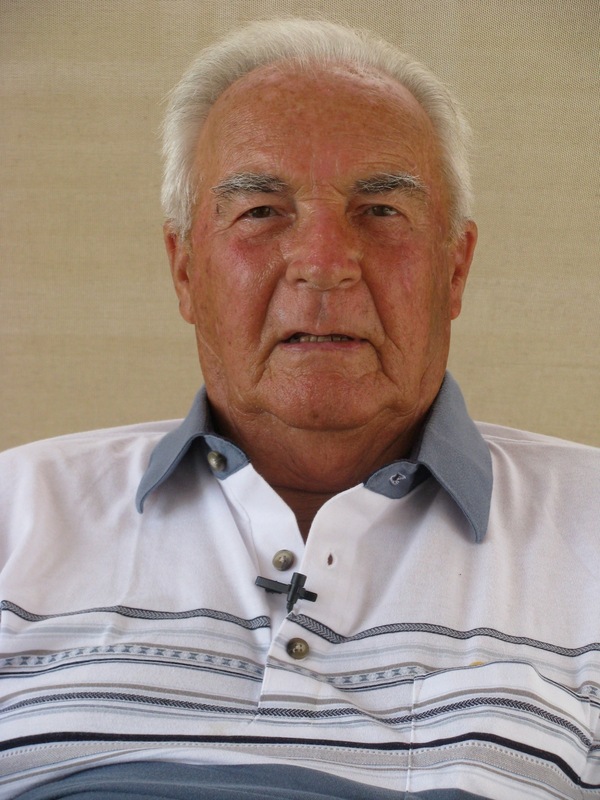 After working in construction for five years he went to work for Westinghouse where he remained for nine more years before he and his wife bought a hardware store in his home town of Clarksburg, Pa. He eventually sold the store to his sister and went in the plumbing and heating business for almost 30 more years. He and his wife, Janet, retired in 1987 to Florida and have lived in their motor home at the park for the last 15 years. They have three grown children: Mary Ann, Ben and Jim. This story was first published in the Charlotte Sun newspaper, Port Charlotte, Fla. on Monday, Sept. 3, 2012 and is republished with permission. Click here to view Clawson’s collection in the Library of Congress. Looking for people who were on the Hope or the Comfort around 1945, or 1946, bringing back the wounded? Who was on the Hope when the a plane drop a bomb down the chimmy stack in 1946? I looking for any that wittiness that event!